As I slowly graze through the Chicago food scene, it's obvious why Chicago is the best "foodie" city. The restaurants must have not only the perfect menu, but also the perfect ambience and service in order to last. But most importantly, they must also take greatness to the next level and never become stagnant. Last weekend I was invited to dine at Tortoise Club to try their new Fall menu. It was a delightful experience! Executive Chef Aaron Browning proved with each bite that he could make what's old, new again. And now I think it's time to let the drooling begin. They have a great cocktail menu. The Dutch Blossom was sweet, just the way I like it! Absolutely delicious and refreshing. 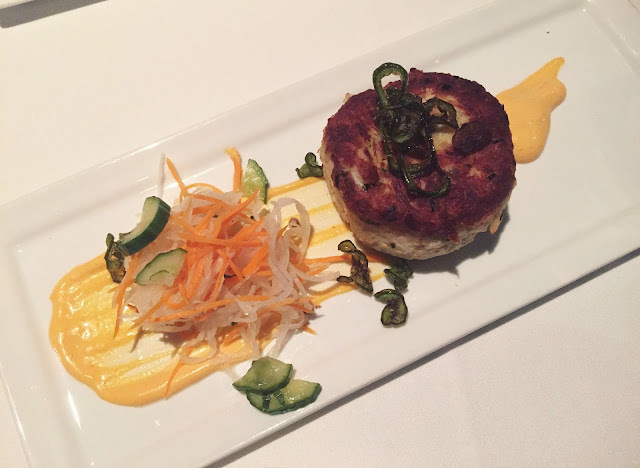 First, the crab cake was perfection. It was all juicy and delicious crab meat. What I appreciated most was the little spicy kick with Sriracha aioli and the crispy Jalapeños. 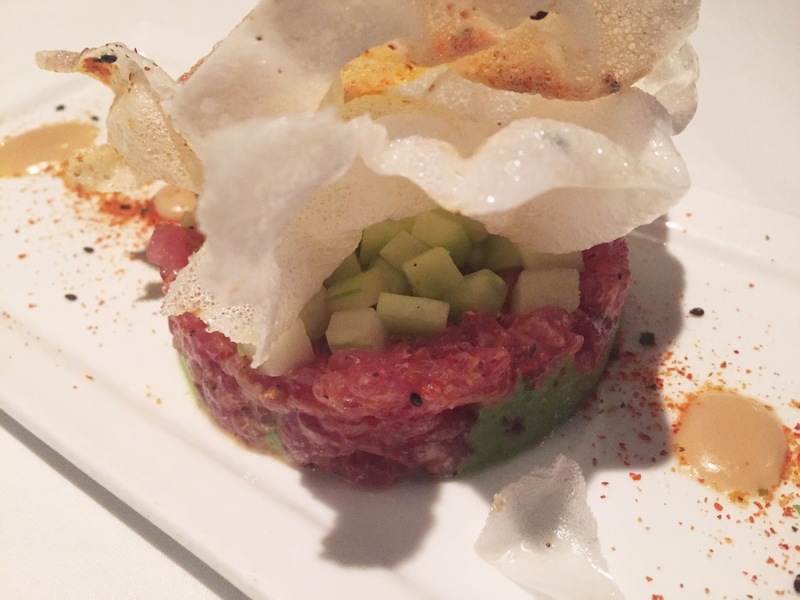 Next we had one of my favorite appetizers, Ahi Tuna Tartare. This was probably one of the best I've had. 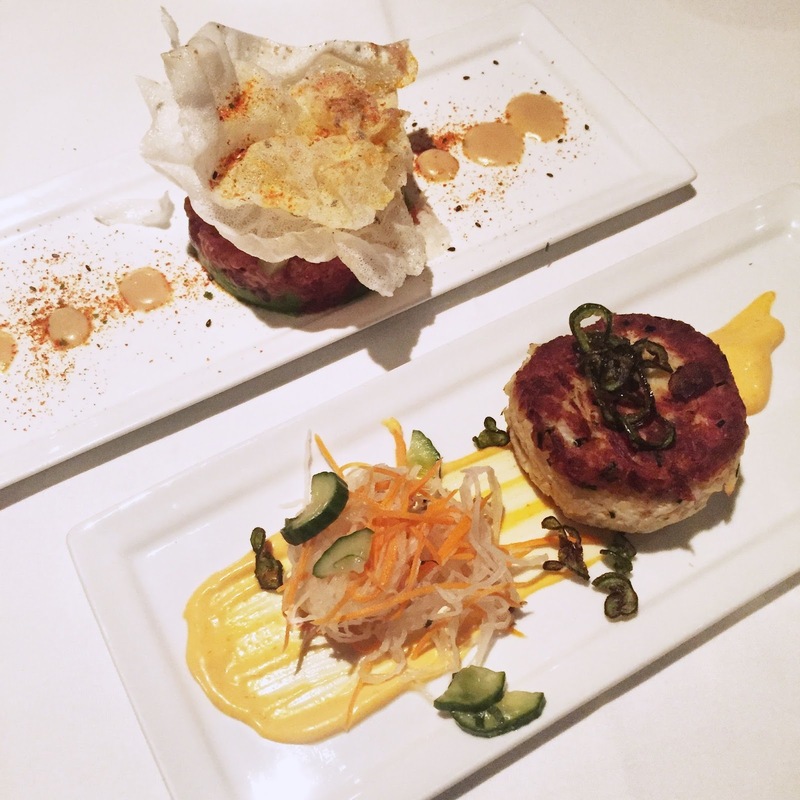 The chef elevates the traditional tuna tartare by adding an Asian twist. It's topped with two rice chips (basically like shrimp chips - the popular Asian snack I grew up eating) and sprinkled with togarashi. As a lover of all things spicy, I loved the heat. But if you aren't a huge fan of spicy food, be careful when consuming this amazing dish. 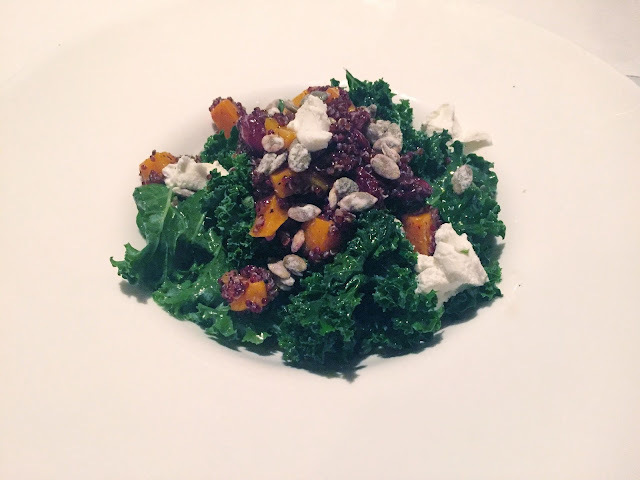 As a lover of kale salads, I was excited to try the Kale & Quinoa salad. And it did not disappoint! I loved the sweetness of the cranberries and butternut squash. The kale could be served in smaller pieces, but there's nothing wrong with eating your salad with a fork and knife! 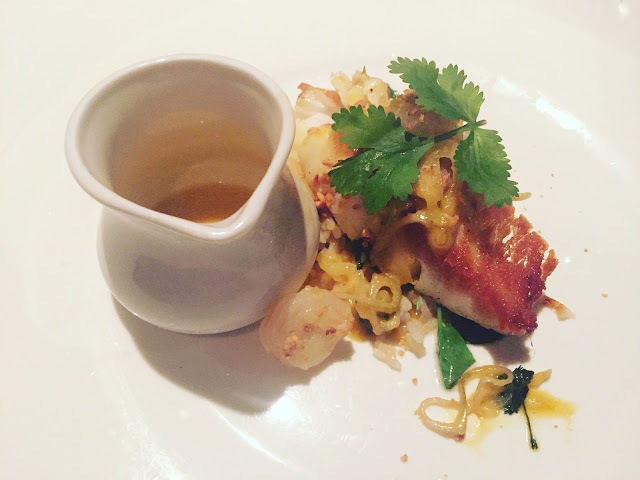 Besides salmon, my favorite fish is Chilean Sea Bass. And I am incredibly picky with how it's cooked so I had high expectations for this dish. Which is why I was pleasantly surprised by how much I loved this sea bass! The crunchy exterior of the fish was a unique touch. It was cooked so well that it almost melts in your mouth. But I think my favorite detail of the dish was the sauce. The coconut sauce was dreamy, I just wanted to drink it. (And since they give it to you on the side, you totally can drink it.) I can't wait to go back just for this dish! 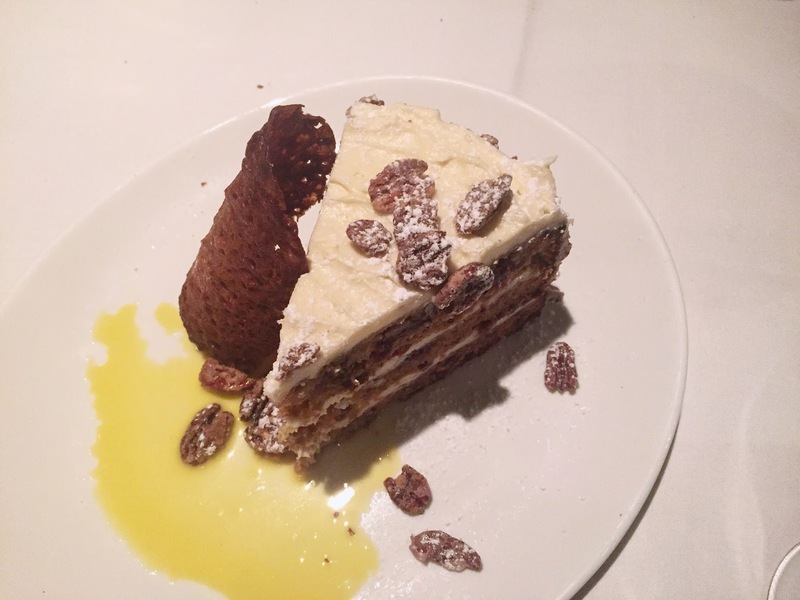 The Spiced Bourbon Parsnip Cake is their version of a carrot cake. If you know me well, you know that I really dislike carrot cake and that I especially dislike raisins. Surprisingly, I loved this cake! It was moist and delicious. The frosting wasn't too heavy or sweet. It made the perfect ending to a wonderful meal. To speak of the ambiance, they do a great job of making it the perfect restaurant for a group meal, but also romantic enough for a date. I'd also suggest dressing up a little bit. Plus, there's live jazz, which I always enjoy! The service is wonderful and timely. Did you drool all over your screen? What are you waiting for? 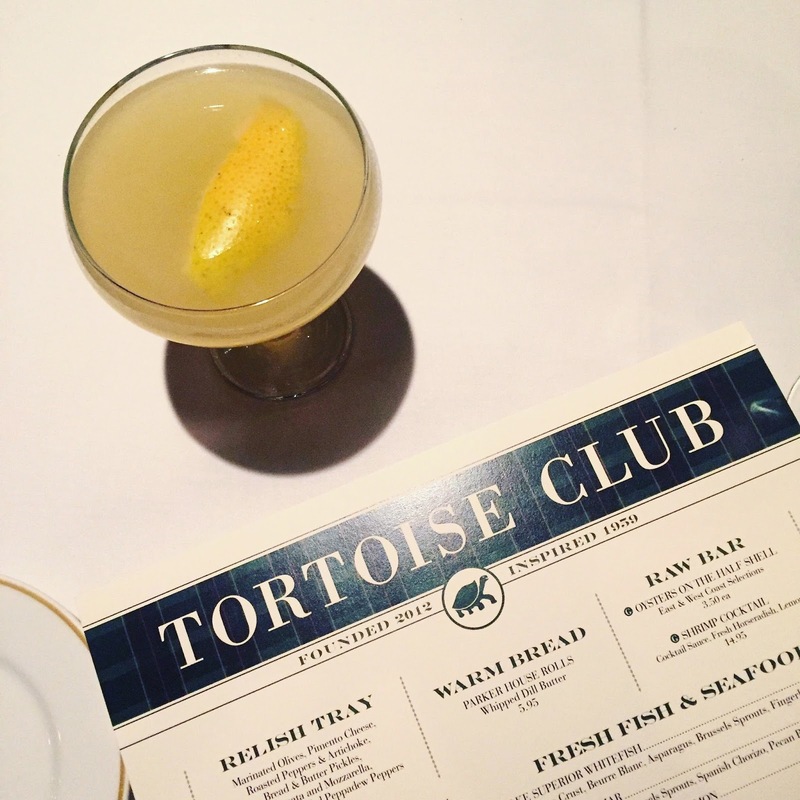 Plan your next trip to Tortoise Club, but make sure to make a reservation on OpenTable because they are busy! Thanks again, Tortoise Club, for a delicious evening! Oh my goodness, this food looks incredible! so fresh!